This pretty coat is the softest shade of luminescent green exquisitely embroidered with a flower motif. 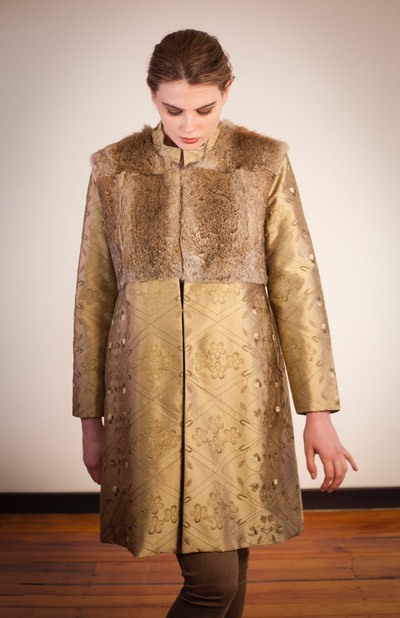 Featuring a mandarin style collar and olive green lining it's cosy fur bodice attaches with fur hooks. Lightweight yet beautifully warm it will complement it's wearer most elegantly at any occasion.